Fresh content for a living website is vitally important. Even if you don’t understand anything about search engine optimization and how the websites are ranked by various search engines, you should probably intuitively feel that refreshing your website with new hi-quality articles is a good thing to do. However, it is not so easy to get articles written on a regular basis, especially those that will be engaging for the website visitors. In response to this need, there have emerged many online platforms that generate great website content. In this article we are going to address the importance of updating a website with new articles as well as review one of the new online platforms where people can actually buy articles for website at a reasonable price. 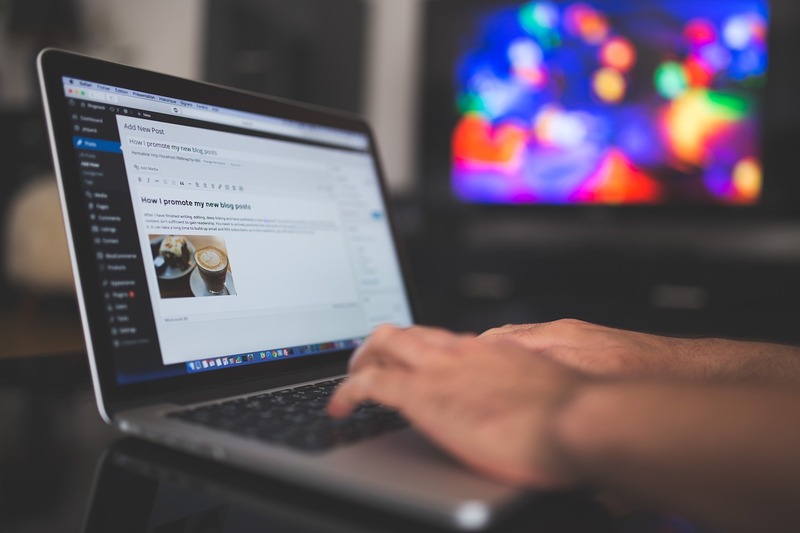 Why is it Important to Post Fresh Articles on Your Website? First of all, new articles will result in frequent indexing of your website. Some people assume it is the same thing as higher indexing which is not quite so. The thing is that when you update your web pages, a search engine will (every time when you do that stop by) to assess your website. This is only an additional opportunity to achieve better rankings based on the posted content. Some people make use of the opportunity while others don’t. Special robots or so-called bots or web crawlers (programs that scan the websites) take notice of the changes you make to your website and re-arrange the rankings depending on whether those changes are good or bad. One of the biggest mistakes people often make is trying to post as many new articles as possible. But the quantity isn’t the key here, it is the quality that matters. In order to achieve higher the ranking, the content standard should be really high. If you bombard your web pages with low quality content, it will only worsen the situation. Secondly, even if you forget about search engine rankings for a second and think about your audience, you will still have a good reason to update your website with valuable information. By doing so, you will keep your readers informed and updated which is something they are likely to appreciate. This may not pay off right away, but the truth of the matter is that by keeping the audience engaged you will build up long-term loyalty which is later transformed into returning traffic. Lastly, new articles is your chance to help visitors understand your company along with its products and services better. These are the means to persuade prospective customers that your product is a good choice. Let them know about the benefits of things you have to offer. Help them understand why they need the products. New articles on your websites is a great way to interact with prospective clients and convince them to choose your company. The truth is that the more information people can access, the more chances that they will be able to make an informed buying decision. Despite the fact that updating one’s website frequently is important, it doesn’t make the task of doing it easier. As we have mentioned before, it is not about how often you do it but rather how well you do it. Today quality matters the most, at least when it comes to posting fresh content on one’s website. As a result, business owners and managers seek ways how they can efficiently manage this problem. Not always small businesses can afford having one person on staff who will write and post new articles. It is especially true of start-ups where every single person on the team is doing so much already. Now does that mean you have to abandon the idea of publishing new articles on your website frequently? And although it may seem like that’s the only choice left, this is not so as today there are some things one can do to help the situation. And we would like to introduce one of the possible solutions to the challenge – Writology. This is a relatively new online writing platform where professional freelance writers and those who need writing services come together. It seems like this kind of platforms is a great alternative to websites that claim you can buy unique articles from them or that offer content articles for sale, cheap article writing service or pre written articles. Many such companies are run by low quality writers who deliver poor content at the equally very cheap price. Some of them are better, but there is no way for you to know unless you try the service out. So if you have been bombarding Google with queries like “buy articles for my website” “buy articles for website” or “where can I buy articles for my website”, “where to buy cheap articles”, “buy article online”, “need article writers”, you may want to try Writology. Writology isn’t simply a professional article writing service where you can buy an article online or find an article writer for hire. Most writing agencies work like this: you place your order while providing your requirements and make a payment. One of the writers will deliver the requested content following (hopefully) the guidelines provided. Writology is a unique article writing service because it offers much more than pre written articles. It is a freelance writing platform that provides you with a wide choice of writers as well as the opportunity to control the entire writing process. Therefore, if you are still looking for the place where you can buy cheap articles, it may be a good idea to find out more about Writology. The website can meet all your writing needs and expectations at a reasonable price. Why Does Writology Deserve a Visit? Opportunity to choose writers. With Writology you can place the order and set the budget range for the text you want to be written according to your instructions. When you place your order, freelancers will send bids on your project offering their prices and deadlines (within the range you select) for which they will be able to complete the order. As a client, you have the privilege of choosing a writer yourself. To help make an informed decision, the website will provide you with the review of your writer’s portfolio, feedback from previous clients, writing test result, etc. You can also directly message the writer before and after you choose one. Those who need article writer can even find one before placing the order by searching through the list of writers. Quality guarantee. The website has developed a sound quality guarantee policy. If for some reason the writer has failed to deliver the article then he/she wouldn’t receive any pay for it. The thing is that when clients make the payment for the projects, the money is stored at the Writology account and is released to the writer’s account only after the paper has been approved by the client. All writers then have an incentive to provide high-quality content; otherwise, they simply won’t receive any pay for the order. This system outruns many policies enforced at some of the best article writing services online. Thanks to this well-thought policy at Writology, the company motivates article writers for websites to deliver only high quality content as the only way to accomplish the company’s mission. Writology team. Apart from having freelancers write your articles, you can also have one of the Writology team members do the job. The website actually has a distinction between Writology writing service and Writology freelancing service. If you choose the former, you basically hire article writer from Writology team who is trained at effective article writing. And if you choose the latter, you send the project to the general pool of orders where all freelancers can see it and send their offers. Writology team option is nothing else but a professional writing service that is responsible for the quality of content provided. Pre-written articles. This is another great feature developed by Writology. In case you don’t have time to choose among article writers for websites, you can simply surf through the available pre-written articles. Each and every writer at Writology has an opportunity to upload the original content (which is not indexed by search engines) at one’s home page. These texts are available for preview and if a client wants to buy an article, it will take less than 5 mins to close the deal. A very convenient service for those looking for pre-written content rather than trying to find a professional writer.